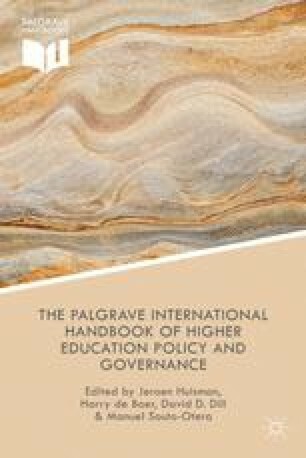 A key feature of higher education governance arrangements around the world is their apparent convergence, at least in formal terms. Certain global models, such as the so-called New Public Management (NPM), appear to have considerable traction (King, 2009, p. 41). Nonetheless, we need to be careful. Models — such as those configured around the preference by higher education policy-makers for increased institutional freedoms and performance accountability — are dynamic entities. They change in the processes of adoption and implementation, as negotiation by affected groups, the historical path ‘dependencies’ of particular nations, and as varying cultural interpretations come to exert their influences. Formal governance arrangements that emphasize institutional autonomy and accountability in one country, for example, may look very different in practice to those found in other countries with apparently similar policies and structures.